We strongly believe in sharing our voice and exercising our right to vote, thus we've curated this collection of items that add a little fun to the process! 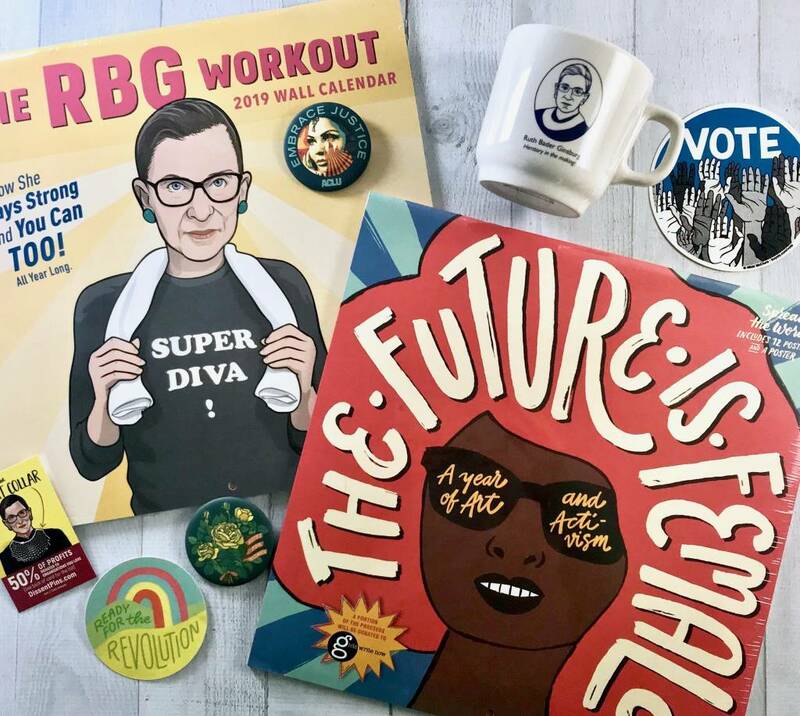 The RBG Workout Calendar will keep you in supreme shape; you can then enjoy your post-workout cuppa joe in our Ruth Bader Ginsburg mug by Fishs Eddy; hop on your preferred vehicle of transport while sporting Nikki McClure's iconic VOTE sticker; remind yourself that yes, indeed, the Future is Female with this calendar that combines art and activism AND features work by our local friend and amazing illustrator, Penelope Dullaghan; add some flair to your bag or jacket with Marcy Davy's pretty Votes for Women pin and the RBG Dissent Collar pin (check out the story behind the collar here! ); and advertise that, yes, you ARE ready for the revolution with this sweet lil 3" vinyl decal - perfect for your canteen, tumbler, laptop, whatever hard surface onto which you like to stick things.